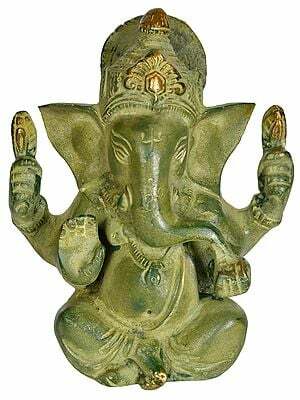 Endowed with child-like innocence, mischief in eyes and carefree disposition the cool, soft and benign elephant-headed Ganesha is invoked primarily for removing obstacles and assuring a detriment-free beginning. 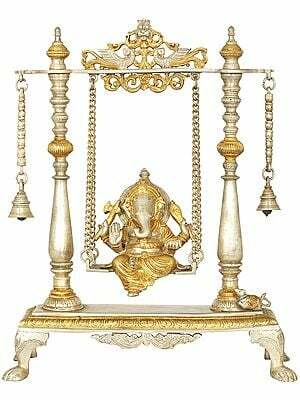 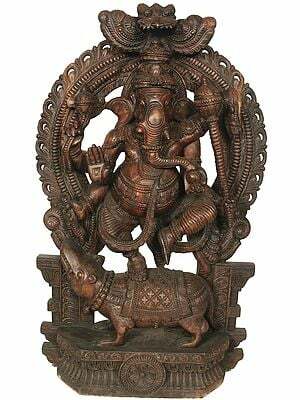 In the canons of Indian Sculpture, unanimity prevails in regard to the broad appearance of Ganesha. 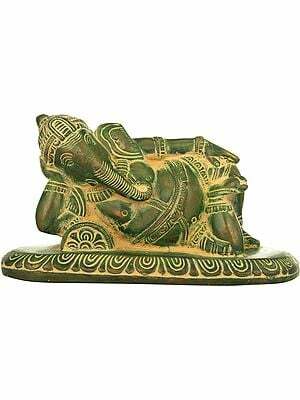 He has an elephant head with a single tusk and twisted trunk, usually turned to left but sometimes to right, planted over a human torso. 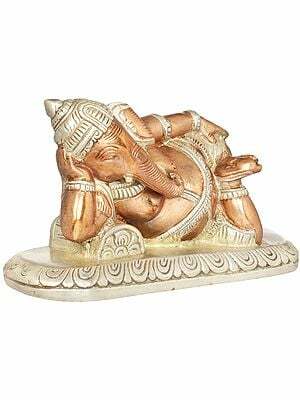 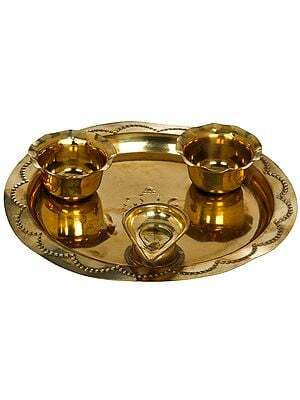 Ganapati's head is often conceived with winnowing basket-like large ears and small drowsing eyes. 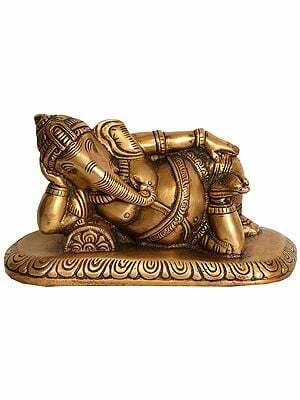 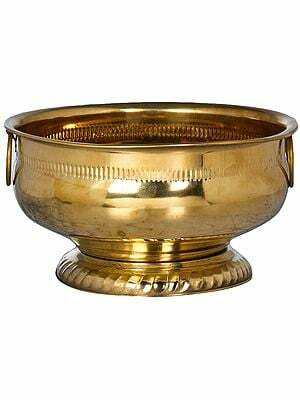 His belly is protruding like a pot and whole figure has a plumpish look. 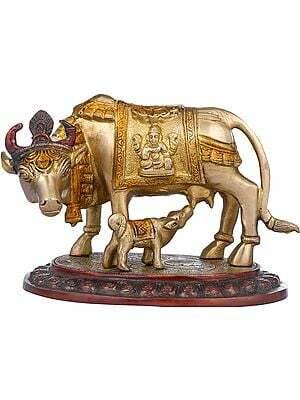 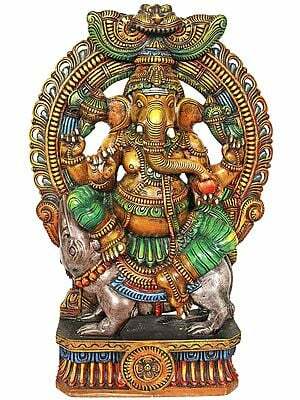 Though endowed with a huge body – ‘mahakaya’, great magnificence and brilliance of millions of suns, he has a figure with moderate height, not claiming any kind of robustness. 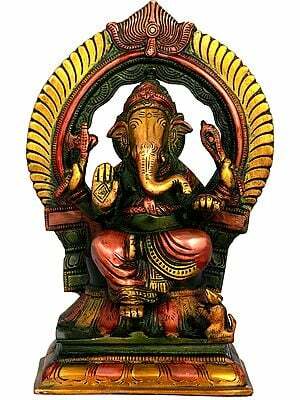 On the contrary, however huge Ganesha's figure, he reveals a child-like tenderness. 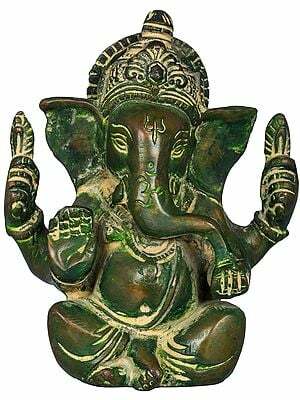 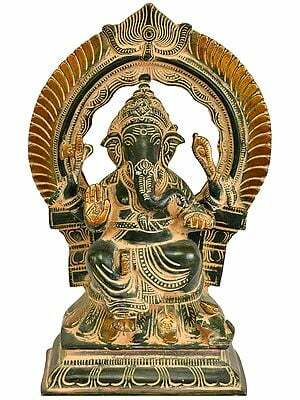 Apart from a few Ganesha like terracotta images recovered in excavations from different Indus Valley sites, Ganesha's earliest statues belong to the initial centuries of the Christian era. 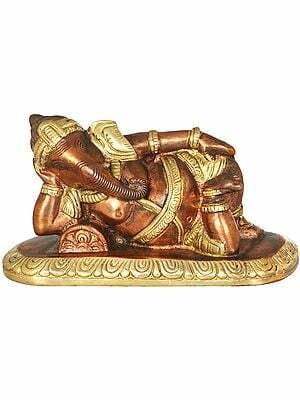 By the Gupta period his statues, both of aesthetic interest as well as votive, had well set. 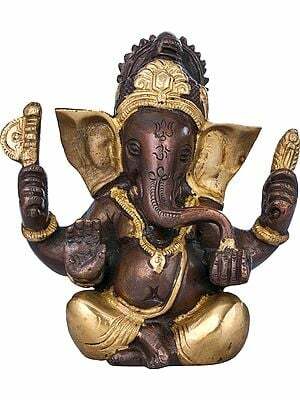 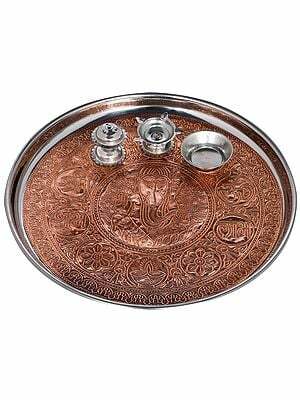 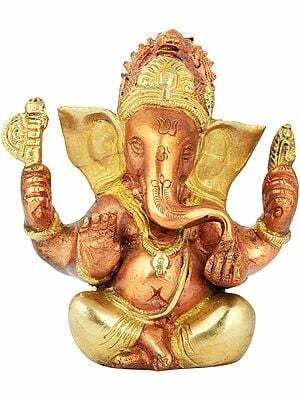 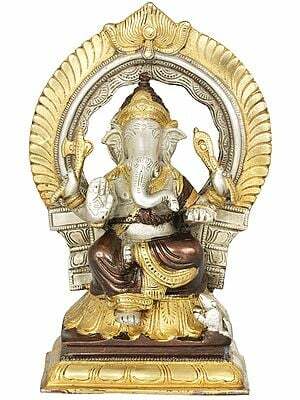 In initial sculptures Ganesha had normal two hands and two eyes which continued also during Gupta period (4th to 7th century AD), but now they also began having a third eye and more than two hands, four, six, eight, ten and even sixteen. 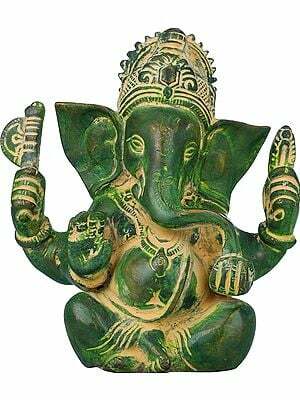 Though the images of the period revealed unique plasticity and great elegance and were rare in aesthetic modeling, they were quite simple. 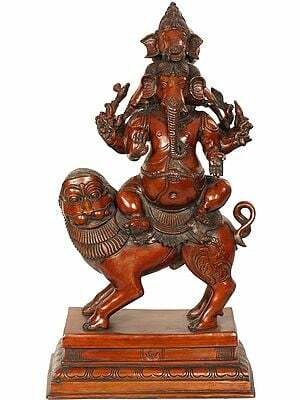 In post-Gupta period statues of Lord Ganesha began assuming highly decorative character and diversified forms. 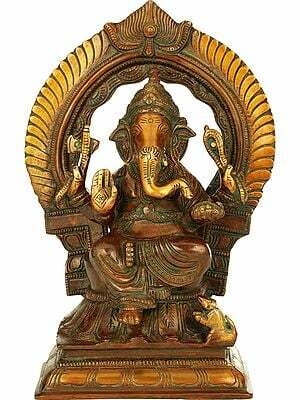 Early sculptures of Ganesha were usually seated, ‘padmasana’ – lotus-seated, or otherwise, and invariably in thoughtful quietude. 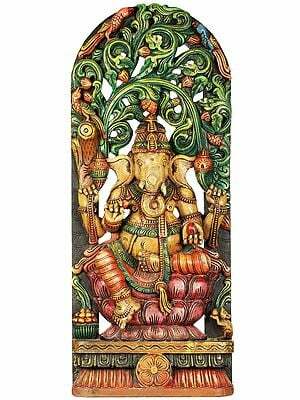 However, the sculptors of the subsequent period preferred Ganesha's standing images, often in a posture of dance, or at least bending right or left, sometimes in ‘tribhanga’ – three-curved posture, in some innovations even reclining with his head supported on his right hand or on a huge bolster, identical to the Buddha’s ‘Parinirvana’ – final extinction images, and sometimes playing on musical instruments, drum in particular. 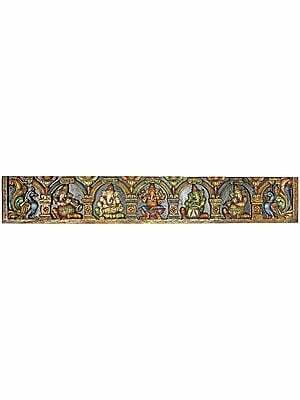 Not so much the early, his subsequent images were well bejeweled. 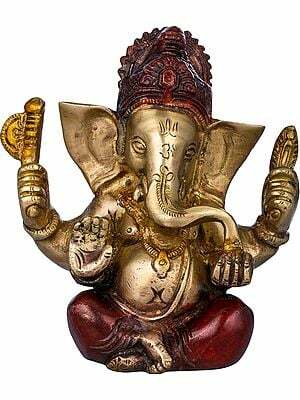 Two snakes, one serving as a belt around his belly, and the other, as ‘yajnopavit, were almost essential features of Ganesha's adornment. 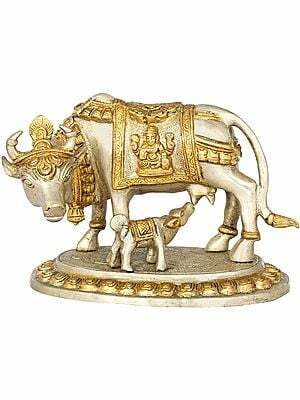 Countering this essentially Shaivite attribute he was adorned with a crown that revealed Vaishnava character. 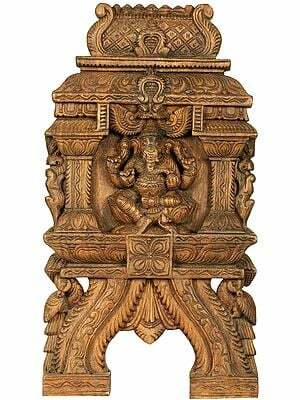 In some other sculptures, Ganesa was portrayed with Saraswati and Lakshmi on equal footings.